BlogHome » News » What do customers really think? Twice a year the Food Standards Agency carry out a survey of the public to discover their attitudes and concerns regarding food safety. 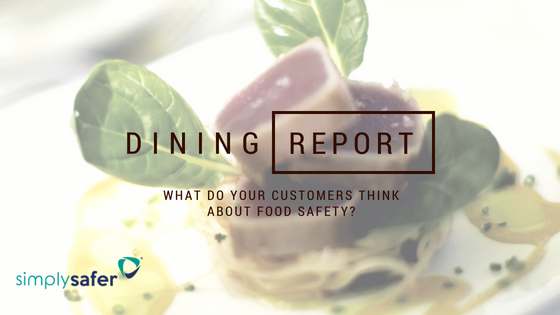 When questioned about food safety issues, 36% of people asked were concerned about hygiene when eating out and 30% were concerned about food poisoning. 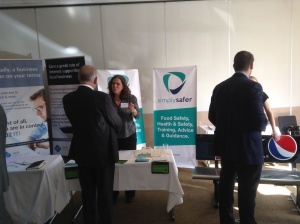 45% of respondents reported concern about food safety in restaurants, pub, café and takeaways. But 42% were also concerned about UK shops and supermarkets. These results show that there are some real concerns about eating out. This is reflected by the fact that 84 % of respondents said that they were aware of the hygiene rating in places they eat out or buy food. It is becoming more and more important to have a Very Good 5, or Good 4 Food Hygiene Rating. Reputation is so important when running a food business and bad news travels and sticks so much longer than the good stuff. You and your staff have to be ready for your inspection. The Food Hygiene Rating is given based on what is found at that time.You will not get away with ‘the chef has taken the paperwork home’ it has to be on the premises and whoever is in charge at that time needs to know where to find it. next post: Do you serve rare or medium rare burgers?